Today, QBI is launching the second magazine in The Brain series, which shares the latest insights into the science of learning and memory. QBI and Science of Learning Research Centre director Professor Pankaj Sah said the free 24-page magazine aimed to dispel myths about learning, provide tips for studying, and explore factors that improve academic outcomes and the ability to learn. 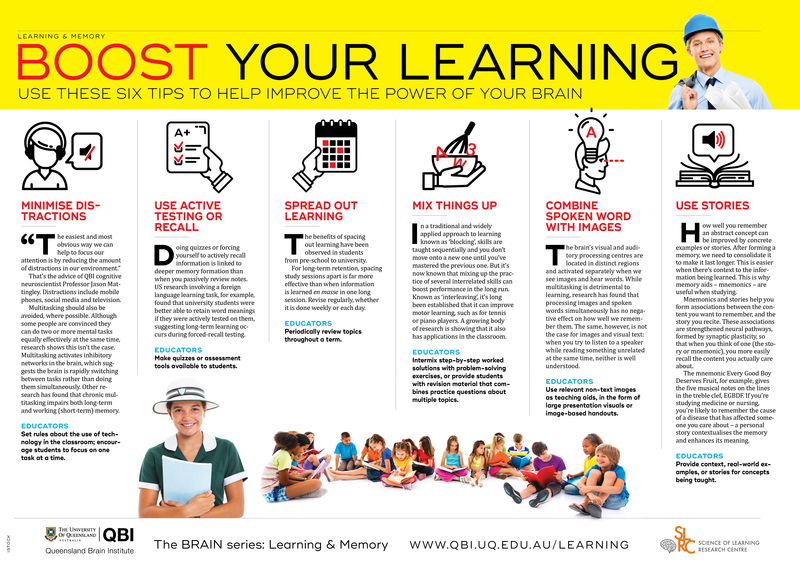 The Brain: Learning and Memory is available in print and can be viewed online, or downloaded in pdf. It follows the first in the series: The Brain: Concussion. “We have tried to shed light on the science of learning in an accessible and interesting way,” Professor Sah said. Topics covered included: how the brain learns; common factors affecting learning – such as multi-tasking, technology, and sleep; learning disorders such as dyslexia; so-called 'smart drugs'; and whether the brain’s learning ability changes with age. The magazine includes profiles of prominent Australians, including beloved children’s author Jackie French, who details her struggle with dyslexia. The magazine features a profile of Dr Chris Sarra, founder and chief executive of the Stronger Smarter Institute, on shifting expectations of Indigenous students. In another article, QBI Advisory Board chair Dr Sallyanne Atkinson discusses learning at any age.